The World Bank's International Finance Corporation (IFC) has set a standard of creating jobs to help eliminate poverty while promoting and protecting the health of workers. But the IFC is investing millions in Indian tea plantations that seem to completely disregard these standards. According to Human Rights Watch (HRW), a September, 2016 report by IFC's Compliance Advisor Ombudsman found that IFC failed to take into account serious labor and other human rights abuses of tea plantation workers. Before investing, IFC "failed to identify and address basic risks, including the grossly inadequate living conditions for workers and child labor," as well as environmental risks, adds HRW. Some of these appalling conditions were documented last year by a BBC report. Reports uncovered widespread malnutrition among plantation workers, with wages not high enough to support basic nutritional needs. IFC also failed the workers in several other ways regarding their right to be involved in worker-share program decisions. HRW says this is not the first time IFC has failed these plantation workers, and it hasn't kept promises of reform it made in 2013. This time, says HRW, IFC should require consultation with workers and those who filed complaints "to make sure that all the violations are addressed and appropriate responses are developed." 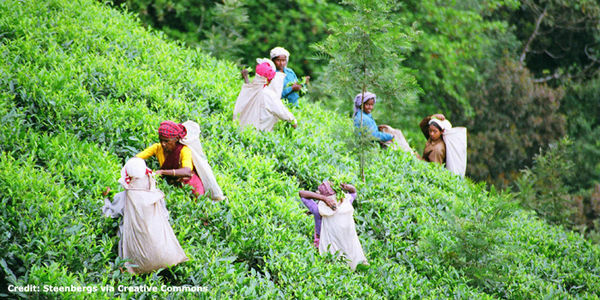 Sign the petition to insist World Bank's IFC take responsibility to help end human rights abuses on Indian tea plantations it finances! AccountabiliTea says poor workers wages and living conditions among the over 155,000 plantation workers are appalling, yet common in India’s Assam region. And they result in India’s highest maternity and infant mortality rates. The conditions described resemble those faced by slaves and sharecroppers working on cotton plantations in the American South, only worse. Therefore I, the undersigned and others supporting this petition, insist that the IFC keep its promises of reform and end the human rights abuses on Indian tea plantations it finances.